Nayef Almansi, a Saudi lawyer, has started an online campaign to demand that Mobily activate the FaceTime service in Saudi Arabia. Mr. Almansi is asking Mobily iPhone 4 owners to participate. It should be noted that FaceTime has been disabled in iPhone 4 units running iOS 4.1 with the following model numbers: MC605AE and MC603AE (same model number in UAE by Du and Etisalat as well as in Qatar with Vodafone). As far as we know carrier settings cannot disable FaceTime, imported iPhone 4 units still have FaceTime enabled. Mobily has blamed Communications and Information Technology Commission (CITC) for banning FaceTime, however in the UAE carriers claim that Apple banned it. 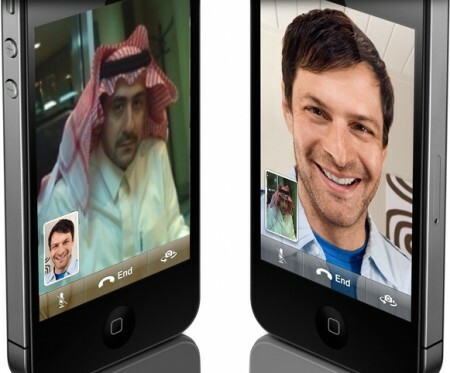 My personal opinion: Apple disabled FaceTime for one of two reasons: they saw the mess with the Blackberry Messenger ban in UAE and decided to disable FaceTime to avoid Drama or a regulatory authority in the region asked Apple to disable it. The FaceTime post on Nayef Almansi’s website is in Arabic so I will translate what I can (if you can translate this, please add it to the comments and I will be grateful). Mobily recently launched the latest Apple product, the iPhone 4, and started selling it officially in Saudi Arabia. Customers noticed that FaceTime, a feature promoted by Apple and even Mobily’s website, has been deactivated. FaceTime is a video calling service which is a vital feature, socially beneficial and provides a useful service for an important segment of society; people with special needs who use sign language to communicate using the front-facing camera. Many Mobily customers has complained regarding this weird behavior by Mobily, considering it a form of commercial fraud, where the company may not withhold what they announced on their website. And because Mobily did not provide an official explanation regarding this issue and because customers want to take full advantage of the iPhone 4 advertised features. Our office has volunteered to collect the names of all customers affected by the purchase of the iPhone 4 and did not get the FaceTime feature and use all available legal means guaranteed by the state to submit it formally to Mobily to force the company to enable the service or return all units and compensate their customers. I do not see any monopoly in Facetime, it is just another video call service like skype,however, it has more restrictions, both parties should have iPhone 4 or iPod 4th gen. while other services can run on many devices. last week i was very keen to buy an iphone ,infact i went to dahran mobily showroom and waited with the crowd to buy an iphone but i couldnt that day, but later i came to know abt this facetime issue and i am hesitating to buy from mobily,may be i would go for Jarir. if we could do something to unblock facetime it is an excellent move and this will give a lesson for mobily as well. I’m using Mobily and FaceTime works absolutely fine on my iPhone4. From whare you Buy mobily and you updated 4.1 ???? I put my stc sim card in my iphone4(bought from mobily) it enables FaceTime 🙂 Yea! I have an STC sim from my old phone. Mobily really screwed me over with the FaceTime feature… But does it really work if you put the STC sim in it? Did STC set up a network for it? ^ That’s one of the many reasons FaceTime was disabled. That & Saudi Naivness & Paranoia! Guys Mobily has nothing to do with banned FaceTime! it’s all apple ! as they claim of VoIP restrictions …. but Mobily is idiot because they don’t know about that and the push it to CITC..
Mobily should to take responsibly. Why because all other serial numbers iphone4â€™ face time working properly in Saudi or any other GCC country . lets mobily returns our money !!!!!!!! it’s completely Mobily internal issue . mobily made big mistake that they released Saudi market Same Serial Number iphone4 Ethislat brought for Dubai . now mobily trying to trough ball in others court to mislead customers. Am I right ? Umm… Do we send the Serial number or the Identifier (UDID)? You must actually look at working on developing this website in a significant expert with this industry. Anyone certainly possess a knowledge tackle on the things everybody is seeking on this web-site nonetheless therefore you could definitely possibly generate a greenback or perhaps a couple off all many campaign. We would take a look at adhering to current topics and also elevating the quantity of compose federal express you put upward i promise anyone?d start off witnessing a few incredible targeted traffic in the future. Merely a assumed, best of luck within what you may carry out!